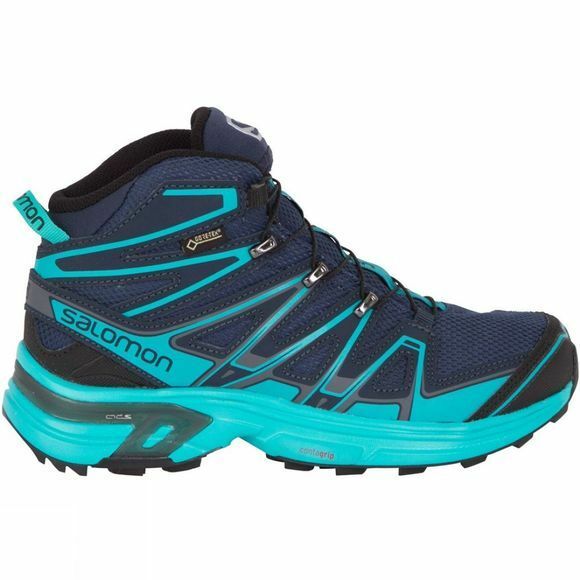 The Women's X-Chase GTX Mid Boot from Salomon is a lightweight and waterproof mid that offers all day comfort on fast and light hikes. 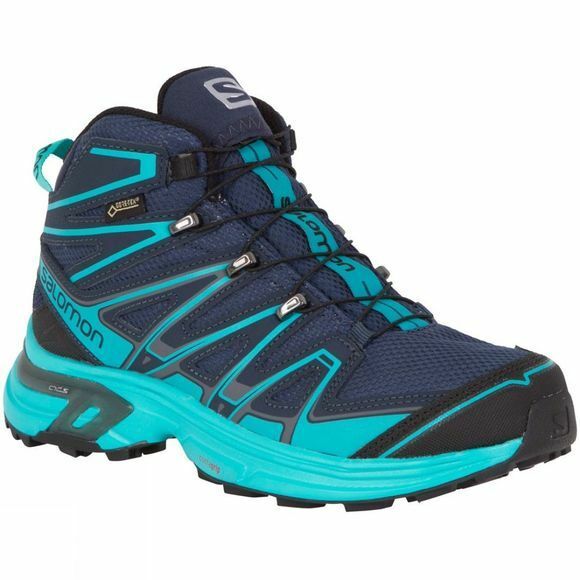 It has taken inspiration from trail running footwear to make an ideal solution for those who need more support than a trainer but less weight and better flexibility than a full boot. It boasts an Agile Chassis system for excellent stability while the QuickLace technology paired with SensiFit takes away the faff that so often comes with tying walking boot laces while still ensuring a snug and comfortable fit throughout the day. A protective heel and toe cap protects your feet from the inevitable scuffs and scrapes and also adds durability to the boot while the gusseted tongue helps to keep debris on the inside to a minimum.